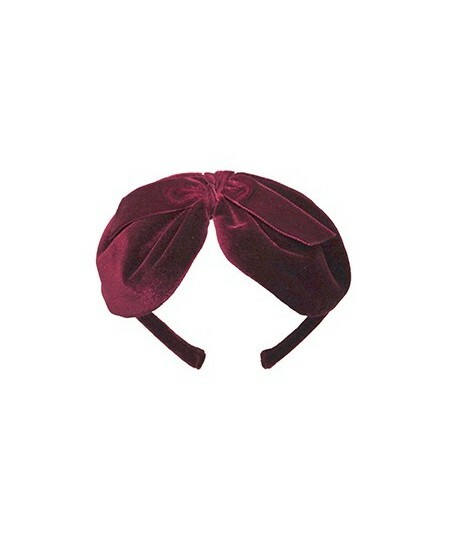 "Satin Bow with Velvet Leaves & Veiling Headband Trimmed on 1"" Grosgrain Headband"
Velvet Leaves Headband On Elastic.nPictured: Red and Mauve. 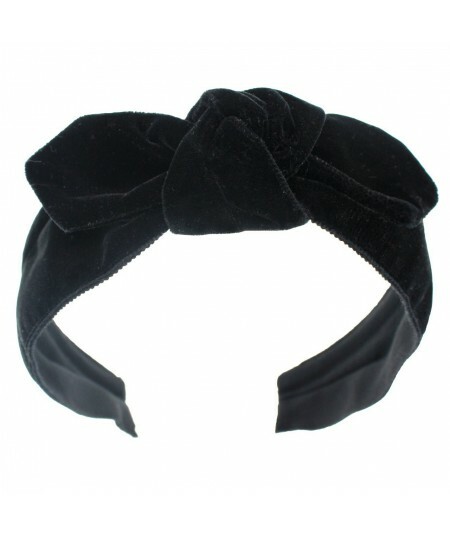 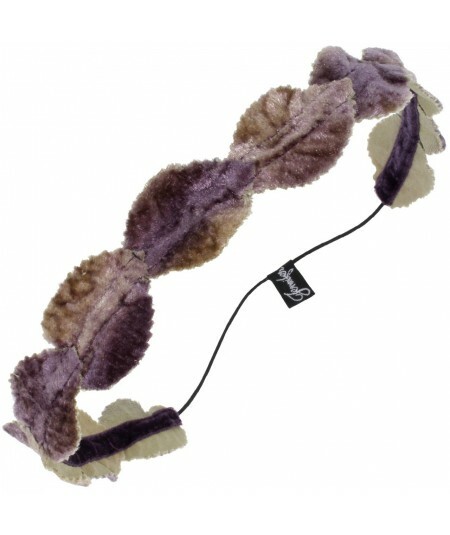 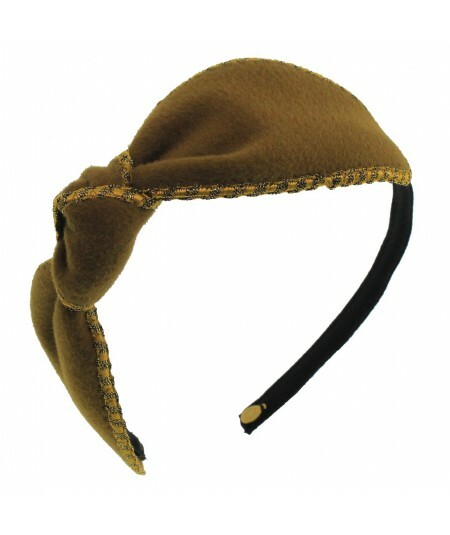 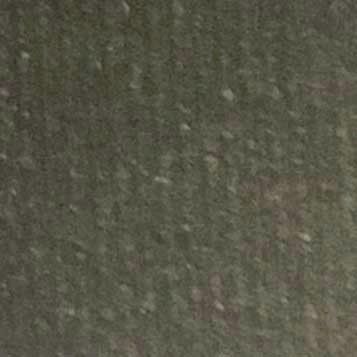 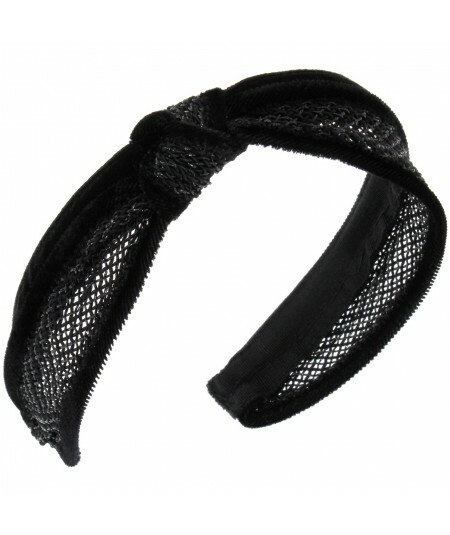 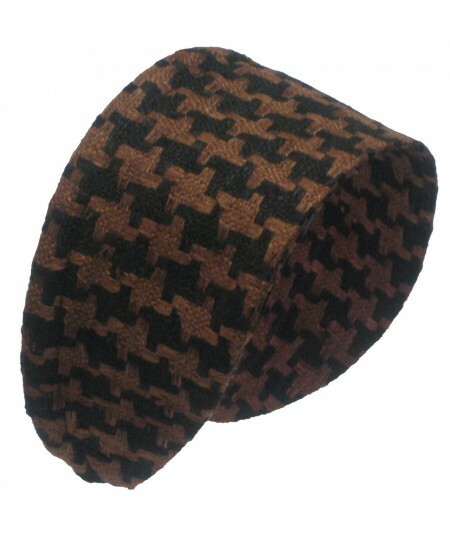 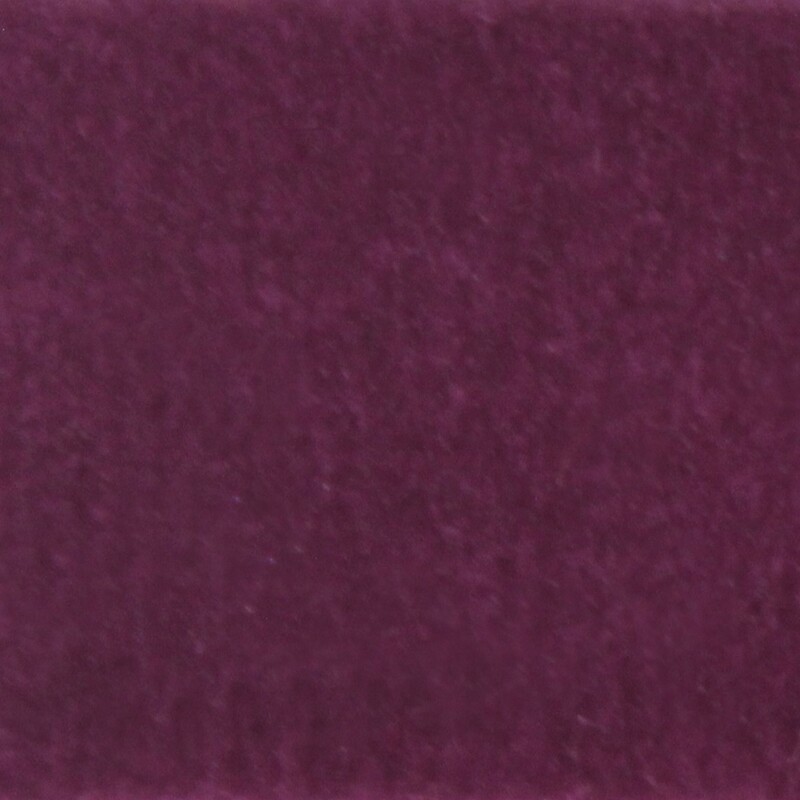 "Wrapped Velvet Headband Approximately 1/4"" Wide. 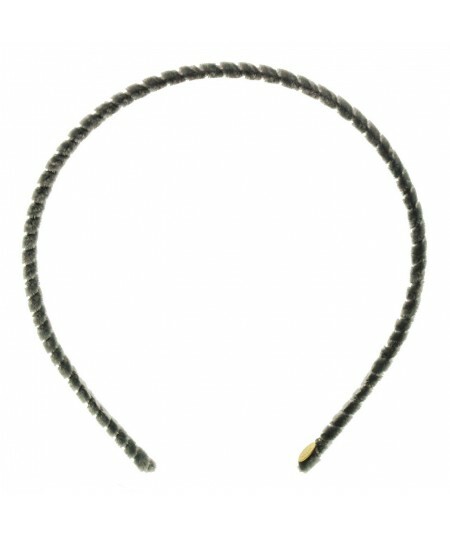 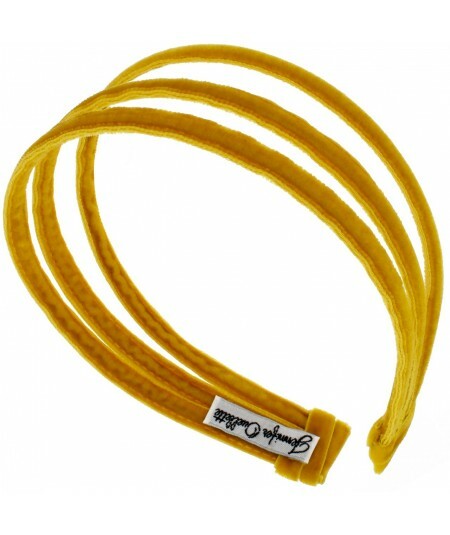 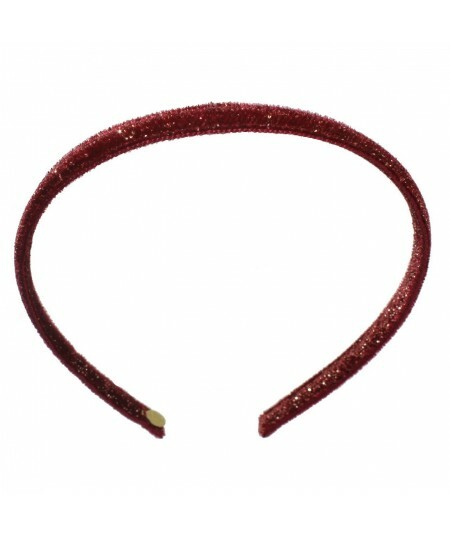 This is our Skinniest Headband. " 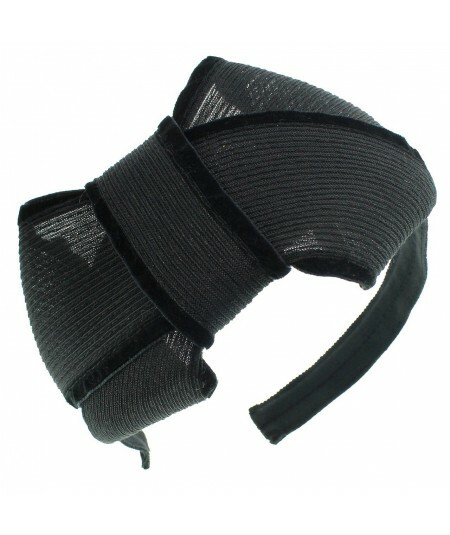 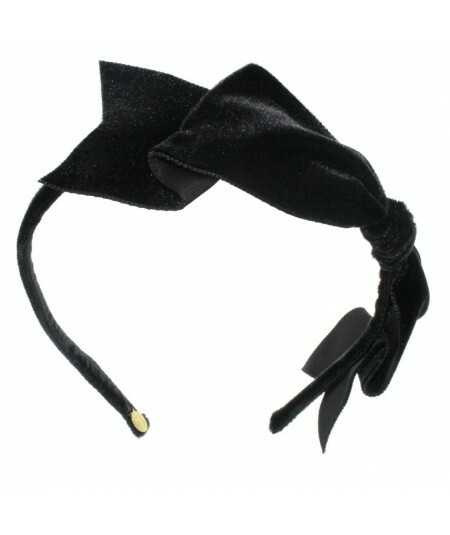 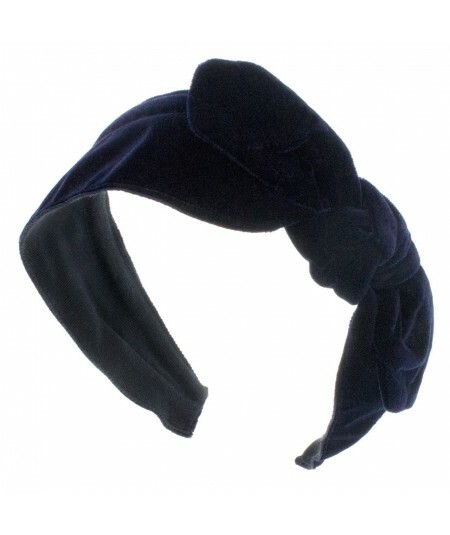 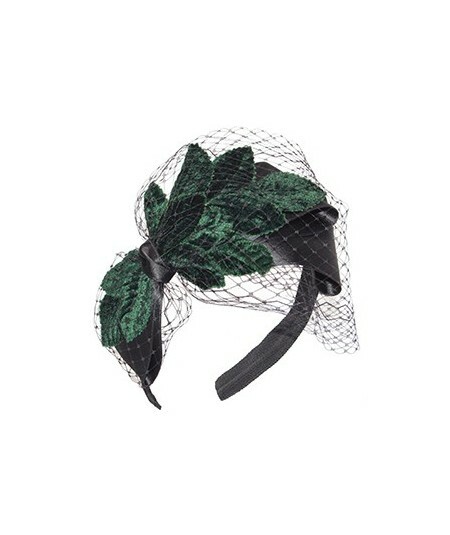 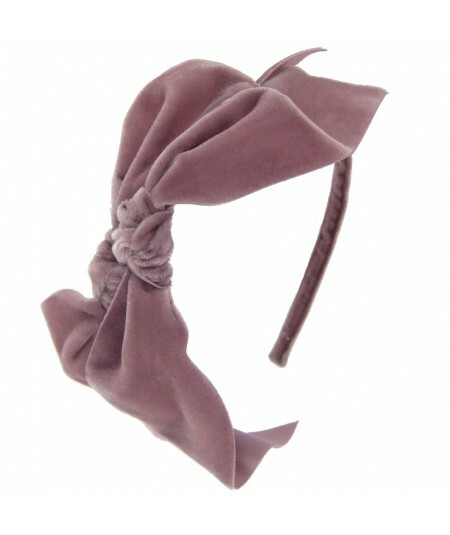 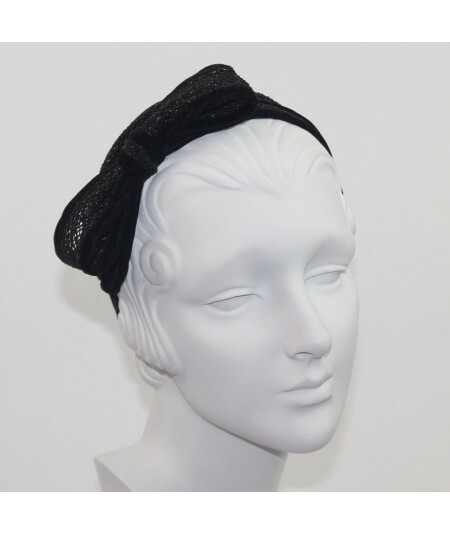 "2" Wide Velvet Ribbon Center Knot Turban"
Velvet Side Knot Tie Trim With Twists On Skinny Band. 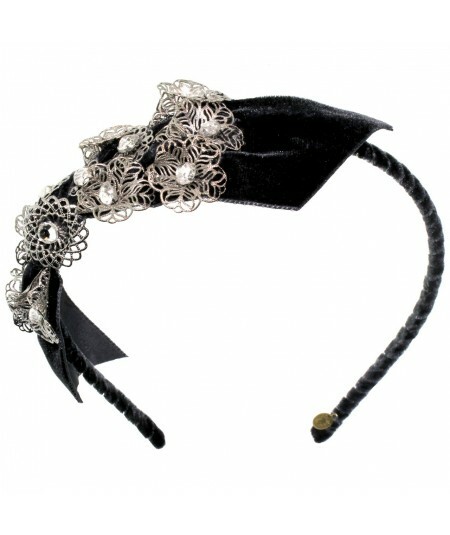 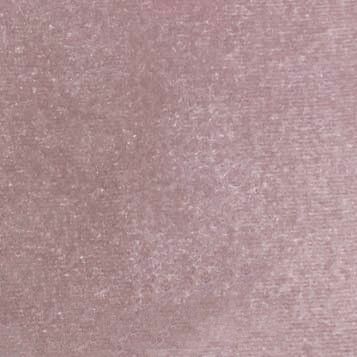 Metal Lace Orchids and Rhinestones On Our Classic Velvet Skinny Headband Color Pictured is Raven Velvet. 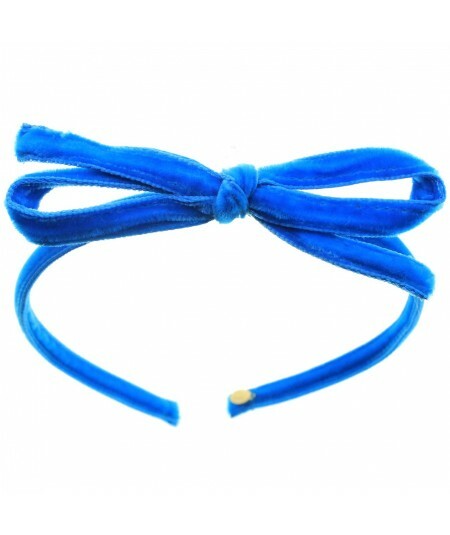 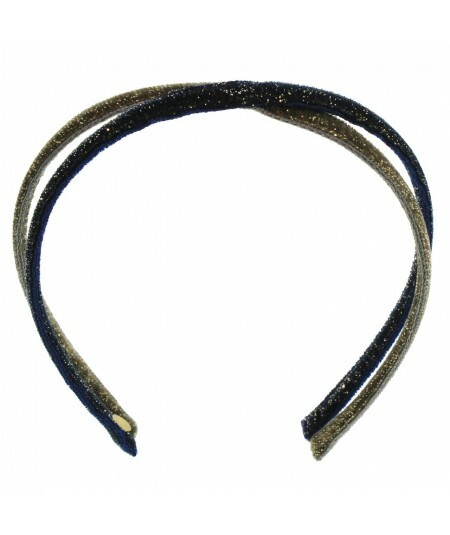 Narrow Velvet Headband with Specks of Gold. 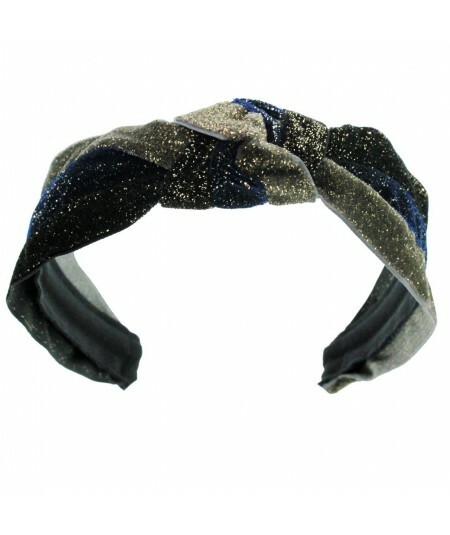 Add a Little Bit of Sparkle to Your Night! 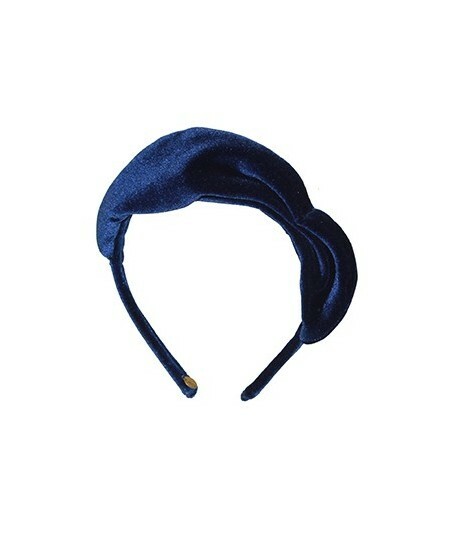 "Velvet Center Riveter" A Fan Favorite in Grosgrain, is Now Available in Velvet!n Inspired by "Rosie the Riveter"
"""Velvet Side Riveter""nInspired by ""Rosie the Riveter"", Our Latest Style is Now Available in Velvet.nPerfect Addition to Add to your Fall Wardrobe!" 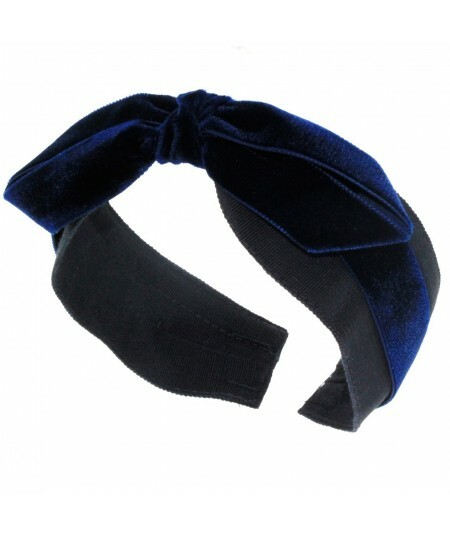 Chic in Velvet. 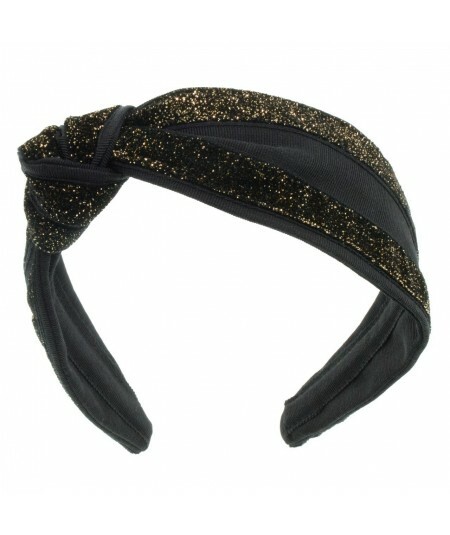 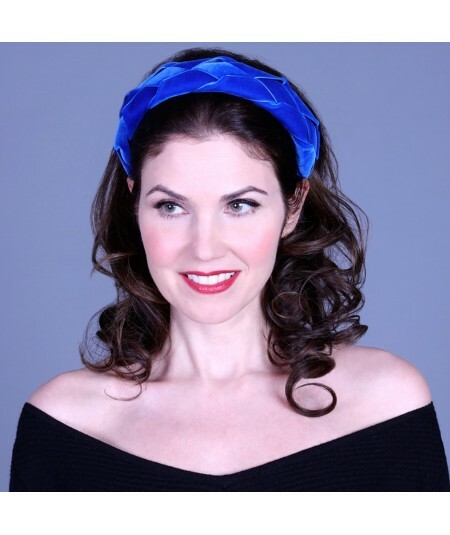 Jennifer Ouellette's Velvet Turban is a Must Have! 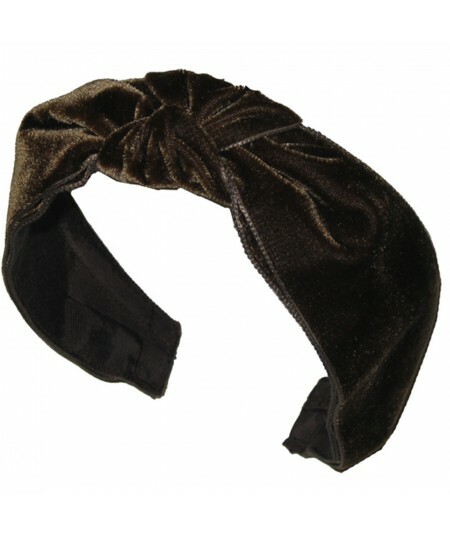 "Extra Large Side Bow Horse Hair HeadbandnTrimmed with Velvet Binding Along Bow EdgenOn 1"" Wide Grosgrain Headband"
"Tri-Color Velvet Sparkle Color Block Center Wide Turban HeadbandnApproximately 2"" widen "